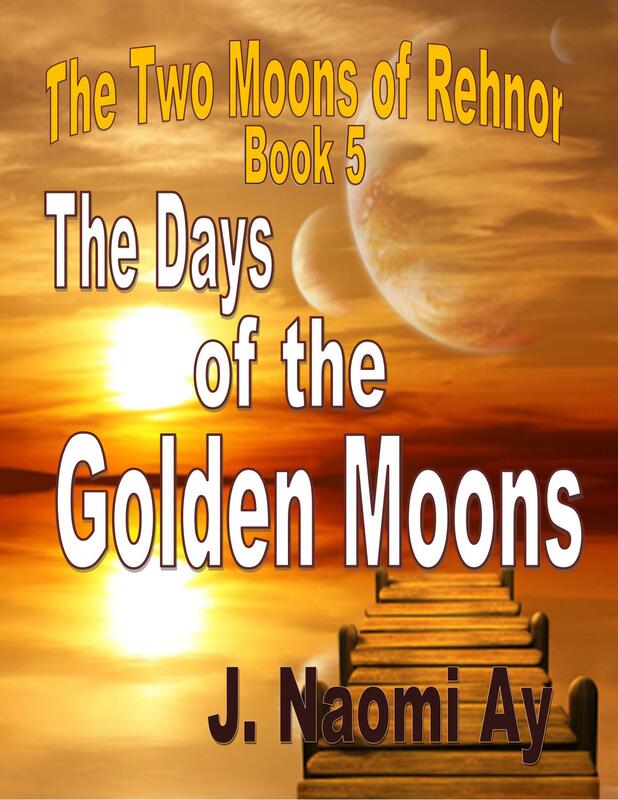 Not only will I be releasing Book 5, The Days of the Golden Moons in June 2012 but I will be releasing the first of the prequel series The Journey to Rehnor too! 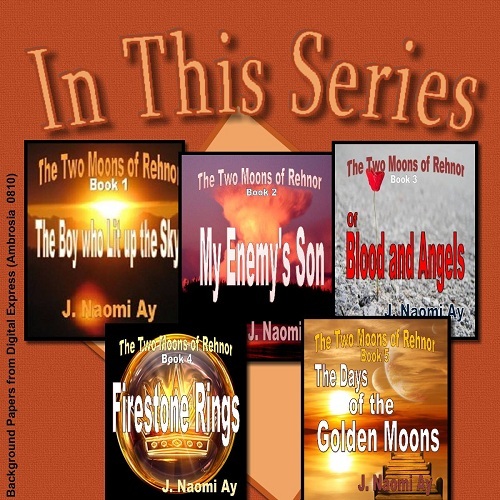 This series takes place 1,000 years prior to The Two Moons of Rehnor series. It’s got all new characters and all new stories. Book 1, tentatively titled The Escape will follow the Duke of Shrotru’s family as they escape the nuclear destruction on Rozari, travel across the star system and land on Rehnor, only to discover that there are no music players, no game systems, no cell phones, no running water, and if you want to eat, you had better make yourself a good spear. Each of the books in this series will be around 30,000 words and afford-ably priced at about .99 cents each. There will be plenty of romance and fantasy and if I can figure out how, I may even be able to get Senya to make an appearance or two. If you wish to be notified when the first book goes live, please be sure to send me an email to get on the distribution list. I’ll be on Author’s Corner with Etienne a week from today on June 7! 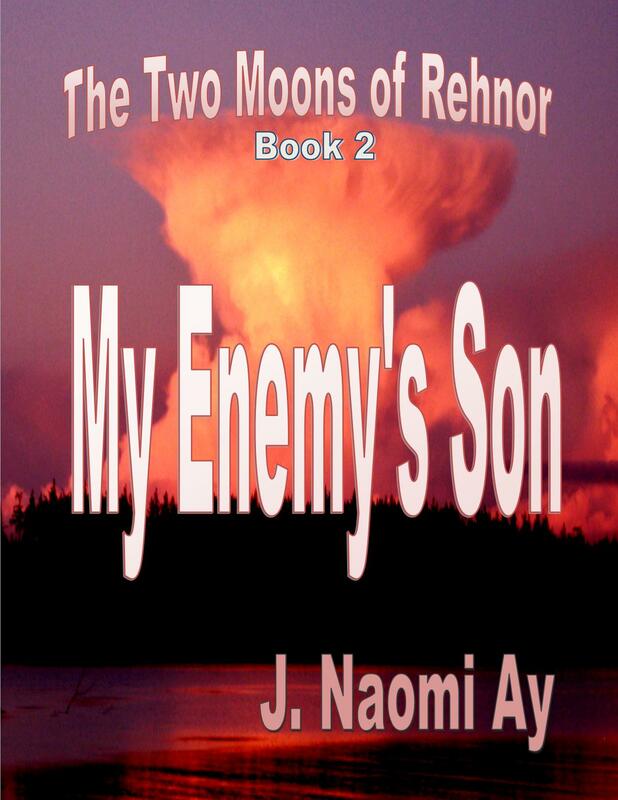 J. Naomi Ay Author of The Two Moons of Rehnor Series 06/07 by In the Authors Corner with Etienne | Blog Talk Radio. 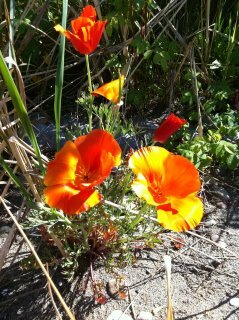 Listen in on June 7 to Blog Talk Radio 9AM PDT and call in to chat. Eighteen years after two caring strangers decide to take her in, Anne must face the harsh reality that everything in her life has been a complete and utter fabrication. 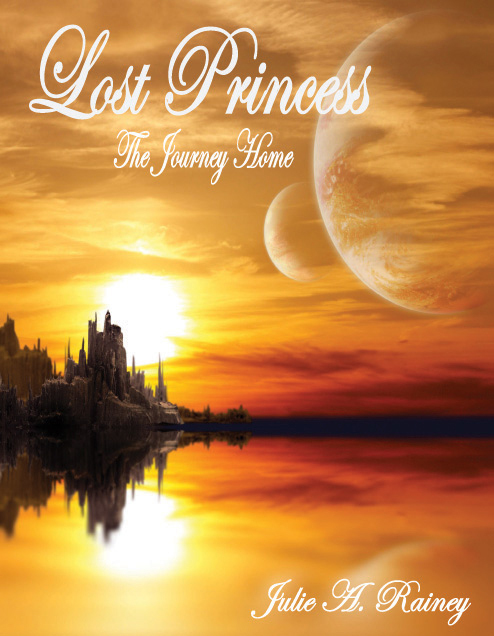 With the help of her friend and Protector, she sets out on a journey back home, to planet she never even knew existed. Will she be able to defeat the terrifying evil that awaits her and uncover the truth about what’s really happening there before it’s too late? Naomi – Let’s start with just a brief synopsis of your book. In 20 words or less, tell me what it is about. Julie – A young woman must travel through space to save a planet that she never knew was her own. Naomi – Who is your favorite character and why? You can use more than 20 words from here on out. Julie – My favorite character is Fanora. She’s a no nonsense, take charge kind of person. She does what is needed, even if it’s not what’s best for her safety and wellbeing. Naomi – What’s the hardest part about writing your book? Julie – Writing isn’t the hard part, editing is. The idea that forms in my mind is relatively easy to get down onto paper but having it make sense to the rest of the world is the challenge. That’s where editing comes and hard is an understatement. Naomi – What’s in the bottom of your purse, backpack, attaché or whatever you carry? Julie – Why are you asking me this? Naomi – It’s complicated. Just answer the question. Julie – Loose change, gum wrappers and random bits of paper from my notebook. Naomi – Did you ever wonder if you were a little crazy for writing fantasy? Julie – When I first decided to take on this endeavor, I didn’t think I was crazy but everyone else did. I have loved sci-fi and fantasy for a long time but I’m alone in that love in my circle of friends and family. They all just kind of smiled and nodded. “Oh, that’s great.” They still read it though, kudos to them. Coming soon… Sorry dear readers, it’s going to take a little bit more time and I am afraid this will be that last in the series unless a bolt of lightning hits me or divine inspiration or a combination of the two. Senya’s just not speaking to me anymore. He might be mad at me. I was brutal to him on more than one occasion. What was the expression I heard today? Writing is just a socially correct form of schizophrenia. In the meantime, I am working on a prequel series called The Journey to Rehnor with all new characters. Here’s the cover for Book 5 and I promise I’ll get it uploaded as soon as humanly possible. and a hearty thank you to all who have or are serving. Semper Paratus to the Coasties from this Auxiliarist who is proud to assist. Hurray and mega congratulations to SpaceX for sending the first privately built commerical capsule to the International Space Station today. The US government may have cut NASA to the quick but private enterprise is going to take up the slack.